This season Lacrosse Scotland want to shine light on some of the amazing volunteers who help deliver the sport around the country. So much hard work and dedication is displayed by our volunteers who deliver the sport and this award is just a small part of our way to say thank you! This month we would like to highlight just some of the work Edinburgh University Women do to enhance the sport of Lacrosse in Scotland. 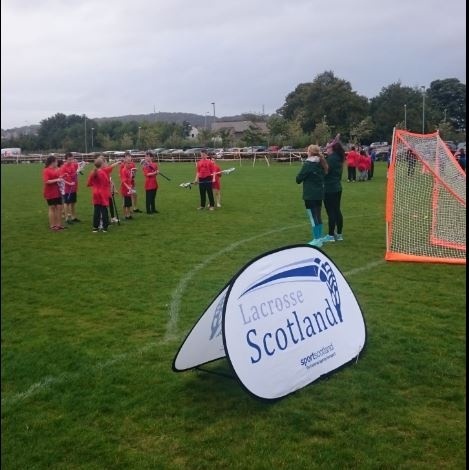 The University team has been fundamental in some of the projects which have been supported by Lacrosse Scotland. Their own initiative has been displayed in a manner that needs to be recognised within our community. Edinburgh University Women are credited for their work within the community, and that is thanks to the clubs Volunteer Officer and 2nd Team Captain – Jessie Dibben. Along with her team mates, Jessie has assisted in the organisation of many community events and has had a great impact on the development of the sport within the Edinburgh Area. Just one of the projects led by the team was the Forresters and Broughton High School taster sessions. These sessions brought the sport of Lacrosse to young people who may have never got the chance to experience it otherwise. Edinburgh University created a program that allowed these young people to pick up a stick for the first time and learn a new sport and new skills. This was a fantastic opportunity to inspire new players and potentially future lacrosse stars! Edinburgh University Women have shown enthusiasm and have assisted massively in the growing world of Scottish Lacrosse. We would like to thank you for your dedication and determination to grow Lacrosse in Scotland.